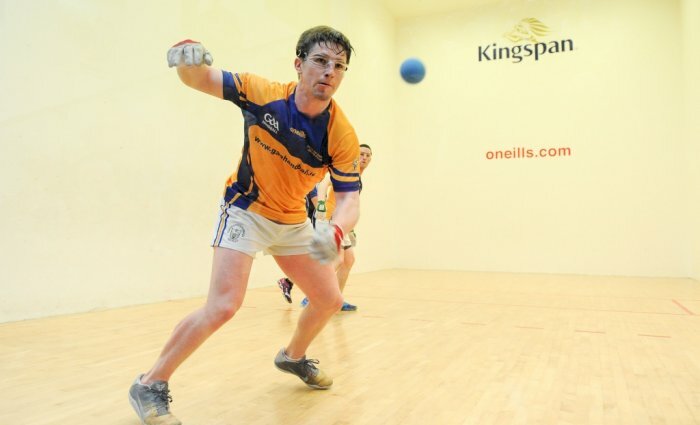 There will be a novel Clare v Galway decider in the O'Neill's All-Ireland 4-Wall Men's Senior Doubles final after the completion of an exciting semi-final programme at Kingscourt on Saturday. The opening semi-final pitted defending champions Diarmaid Nash and Colin Crehan of Clare against 2015 winners Tom Sheridan and Brian Carroll from Meath and the sides produced an excellent, hard-fought spectacle. With space at a premium and long rallies the order of the day, Clare eventually came through 21-18, 13-21, 21-13. The Munster duo started well, opening a 9-4 lead in game one before Meath rallied, a flat kill from Sheridan tying the game at 9-9 and the Royals rode their momentum to open a gap at 12-9. Clare regrouped, however, and went 15-12 and then 18-14 in front before serving for the game at 20-16. Meath got them out and made two more but on their return to the service box, a deadweight rekill in the left corner from Nash sealed it 21-18. The exchanges were equally tight early on in the second game but Meath put some daylight between them at 9-5 and then 14-6, with a deft rekill from Crehan in the right corner stopping the rot. Meath had the upper hand at this stage and although Crehan killed superbly after a brilliant get from Sheridan at 17, an ace from the veteran on the following serve made it 18-10. Clare reached 13 but a left-handed backwall kill from Carroll and one from front court with the right saw them reach game-ball. Meath called a time-out and when they returned, Carroll flattened another off the left to set up a nailbiting third game. With Crehan shooting and driving the ball powerfully and Nash razor sharp in the front court, Clare cruised into a 10-5 advantage, with Crehan killing spectacularly from his knees to make it 12-6 and Nash passing Carroll for the Banner's 14th point. Meath clawed their way back to 12-14 but Clare stretched it to 16 and closed it out impressicvely with two left corner kills from Nash and a 38-foot roll-out from Crehan to advance to their third successive final. The second semi-final saw Galway brothers Martin and Diarmuid Mulkerrins come through 21-19, 8-21, 21-8 against Cork duo Michael Hedigan and Daniel Relihan. Galway opened an early 8-5 lead but the Munster pair responded well to surge 12-8 in front before Galway tied it again at 12. The Moycullen team led 15-13 but a good pass from Relihan got them out and Cork drove on, taking the lead at 16-15 with an ace serve from Hedigan and soon they were 19-16 in front. The Mulkerrins', though, dug in well and dragged themselves back into the game to level at 19. A gutsy kill from a long way out from Diarmuid made it 20-19 and after a couple of chances, an ace from Martin sealed the first game. The Rebels, however, have shown they are made of stern stuff and the 2018 intermediate champions refused to wilt, dominating game two on course to a lopsided 21-8 victory, having raced into a 14-3 lead in double-quick time. Back came Galway, though, to win the third by the same scoreline, with the powerful Martin Mulkerrins dominant figure. Meanwhile, in the O'Neill's Ladies Senior Doubles, four-time winners Catriona Casey and Aishling O'Keeffe of Cork came through a tough test against teenagers Leah Doyle and Mollie Dagg of Kildare. The reigning champs were pushed to the limit in the opener, holding off a game point before eventually winning 21-20, 21-12 after an excellent game. 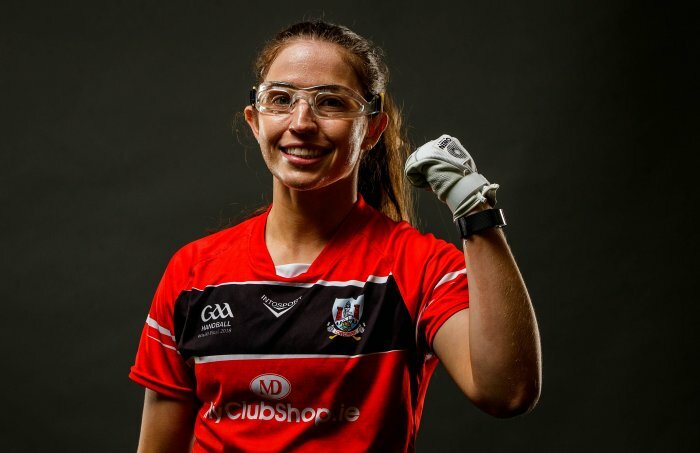 The holders will meet Roscommon sisters Fiona and Siobhan Tully after the St Coman's partnership saw off Kilkenny's Ciara Mahon and Aoife Holden on a 21-18, 21-9 scoreline. It will be Fiona's second successive Final, having reached last years decider with Leona Doolin.